Serial killer Jeffrey Dahmer was terrifying. 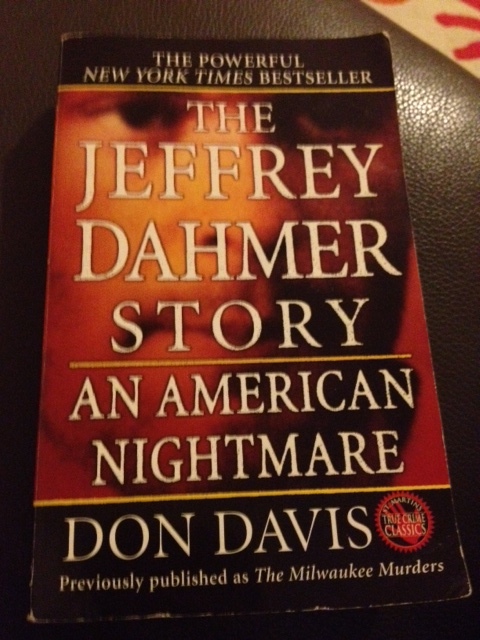 This book is a well-paced detailing of Dahmer’s life and horrific crimes. It also features a lot of historic background about Milwaukee – the city where Dahmer stalked, murdered and in some cases ate, his victims. In 1991, when 31-year-old Dahmer was arrested he had killed at least 17 young men (there is some concern that he may be responsible for several missing persons cases in Germany where he was stationed for two years) and that this was done with such ease is truly terrifying, He preyed on young, vulnerable men on the streets or in gay bars. Dahmer could have been stopped earlier. One of his victims – a 14-year-old Laotian boy with limited English – escaped Dahmer’s flat dazed and bleeding but the killer convinced police they they were having a lover’s quarrel. He was escorted back to the flat by police and Dahmer went on to kill several more men. Interestingly last week the man who beat Dahmer to death in prison in 1994 has been reported as looking for a book deal. 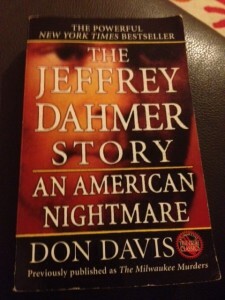 There are a lot of books written about Jeffrey Dahmer, including an excellent one I read years ago by his father Lionel however The Jeffrey Dahmer Story: An American Nightmare is considered one of the best and was a New York Times bestseller. Oh how I loved this book! Great review. I have been keeping an eye out for the book by his killer. What could he possibly have to say.